In the perpetual race to be the most interactive sports website, ESPN.com has a five-second head start. Given that ESPN.com editors have an endless amount of programming from which to choose — SportsCenter highlights, ESPN Radio shows, etc. — it’s no surprise that the website is filled with video and audio clips. ESPN.com promotes video content across its home page — the tab at the top gives users a choice between “top stories” and “SportsCenter videos.” Even fairly mundane stories, such as a recent update about wide receiver Mario Manningham set to join the San Francisco 49ers, has video to go along with the article. 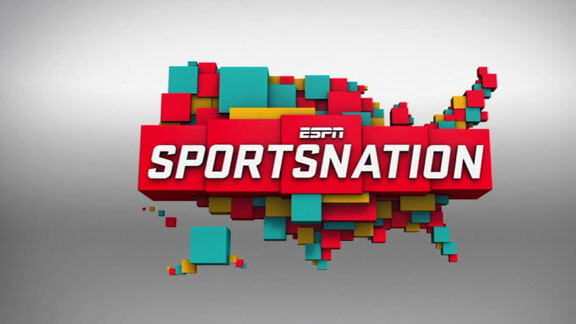 ESPN typically packages articles or blog posts with video from SportsCenter, ESPN News, Outside the Lines and other programming. While other websites have to ask themselves whether it makes sense to put resources into shooting video for a particular story, ESPN.com has the luxury of being able to cherry pick the best video from ESPN and put it on the web. In some cases, ESPN.com even highlights videos without any text. ESPN.com is another way for ESPN to attract advertising for its video content and another way for users to find on-demand ESPN video from shows they missed or games they didn’t watch. ESPN.com’s use of audio is more sporadic. Video is clearly king on the website. ESPN Radio programming sometimes makes it onto the main page, but just as often ESPN.com posts videos of reporters calling into SportsCenter with reports. While this is technically audio, it’s still in a video format. ESPN Radio has its own landing page on ESPN.com, but it’s not prominently displayed. Users can listen live to ESPN Radio programming, or listen to taped podcasts. ESPN bloggers often tape their own podcasts, which are separate from ESPN Radio. While ESPN has plenty of audio on its site, video still reigns supreme. When it comes to the use of photos and graphics, ESPN.com comes back to the pack. Photos typically come from the Associated Press or other news organizations, and are used to supplement content in much the same way that most websites use them. On the home page, instead of using true photos, ESPN will often use a still shot from a video with a play button. This video promotion is again an indication of ESPN’s priorities. Instead of filling its page with graphics and photos, ESPN prefers to embed video and other multimedia. Let Sports Illustrated lead the way with photography, one can imagine ESPN editors saying. Let’s highlight what we do best — video. And when it comes to the use of other multimedia — chats, blogs, polls, etc., — ESPN once again takes the lead. ESPN has invested heavily in blogs. Bloggers cover leagues and sometimes specific teams in most of the major sports. They have their own pages and are also often linked to off the main page. ESPN’s investment in chats, polls and user interactivity in general is on clear display through SportsNation, its landing page for everything interactive. The page is a mixture of poll questions, live chats, archives of recent chats and interactive maps that show how people from across the country responded to various poll questions. While ESPN.com doesn’t prominently highlight these interactive elements on its home page (instead choosing to promote video first), it’s clear that the website values multimedia and interactive elements.